GAA Fun Do Coaching Pack – Go-Games-FunDo-Resource. Céim ar Aghaidh – This resource now provides teachers from 1st to 6th classes with a series of teacher notes and worksheets which allow them to incorporate the theme of the GAA through all subjects in the primary school curriculum. All material is available at Céim ar Aghaidh website. A GAA themepage to support these resources is available via the Scoilnet website. GAA Coaching in Schools Over 90% of schools avail of the GAA coaching in schools programme. This involves an agreement between schools and the County Games Development Department to provide a coaching block of between 6 to 10 weeks. All lessons are designed to meet the aims of the primary school curriculum and teachers are encouraged to work together with coaches to maximise the impact for pupils. Club/School Links Seventy-five percent of primary school teachers surveyed during 2009 GAA in-service summer courses reported that they found the support of their local GAA club to be good or excellent. While this is encouraging, it is important that all clubs ensure that they establish strong links with their local primary school. Visit the Club Schools Links page for further information on establishing club/school links. Cumann na mBunscol Cumann na mBunscol is the voluntary organisation of primary school teachers who promote our native games of camogie, hurling, football, rounders, handball and athletics. Visit the Cumann na mBunscolwebsite for further information. Useful downloads Click on the links below to download them. 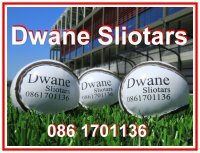 The playing and development of Gaelic games in and through the Primary School has been a traditional and vital custom over many, many years. It is founded on the strong and vibrant relationship between the GAA Club and the Primary School at local level, and is dependent on the good will and voluntary effort of Primary School Teachers. The pathway of games development in our Primary Schools is divided into three stages and aligns with the aims and objectives of the Primary Physical Education Curriculum. Stage 1 Nursery: The first stage in the pathway begins in Junior Infants with a Nursery Programme. 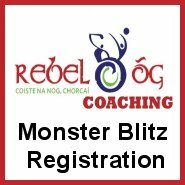 The Nursery Programme is a series of activities which aim to develop the basic movement and coordination skills required to play Gaelic games. Stage 2 Go Games: Once the basic skills to play Gaelic games have been developed children are introduced to Go Games. Go Games are small-sided versions of Hurling and Gaelic Football which have been devised for children up to and including 11 years of age. The games are organised on principles of fun, participation and skill development. Stage 3 Inter-School Competitions: The final stage in the pathway are the Cumann na mBunscol competitions organised at senior class level (5th and 6th classes, P6/P7). These competitive leagues are organised on a match or blitz basis. The central figure in this development pathway is the teacher, aided and supported GAA volunteers and personnel. This pathway from junior infants to 6th class/P7 supports the teacher and the school in delivering a coordinated programme aligned to the ‘Games’ strand of the Physical Education curriculum and provides valuable linkage to other strands such as athletics and gymnastics. Seventy-five percent of primary school teachers surveyed during 2009 GAA in-service summer courses reported that they found the support of their local GAA club to be good or excellent. While this is encouraging, it is important that all clubs ensure that they establish strong links with their local primary school. Visit the Club Schools Links page for further information on establishing club/school links. Cumann na mBunscol is the voluntary organisation of primary school teachers who promote our native games of camogie, hurling, football, rounders, handball and athletics. The philosophy of Cumann na mBunscol is to promote Gaelic games in an atmosphere of fun and enjoyment and to make Gaelic Games the games of choice in our Primary Schools. Visit the Cumann na mBunscol website for further information. Click here to find out more about Gaelic games development initiatives for the Primary School.